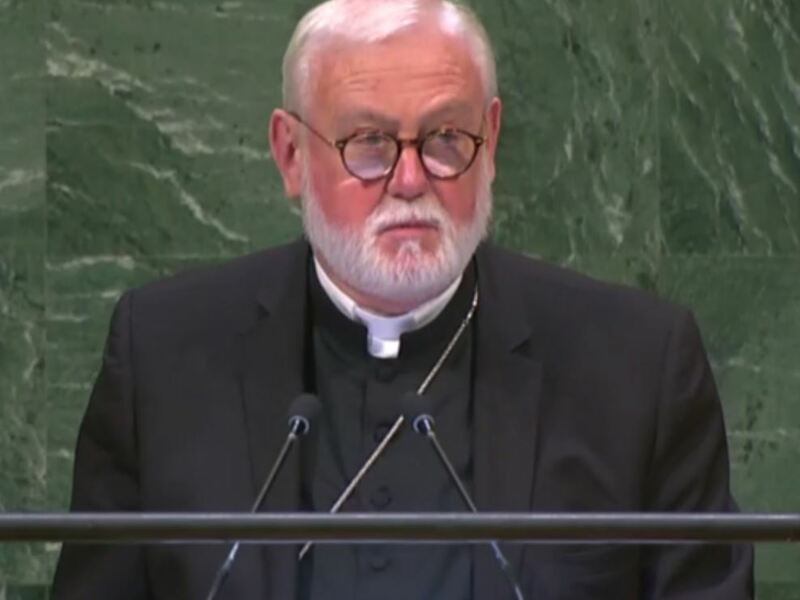 Following is the speech by Archbishop Paul Richard Gallagher, Vatican Secretary for Relations with States and Head of the Delegation of the Holy See to the Seventy-Third Session of the United Nations General Assembly in New York on October 1, 2018. He spoke on “Making the United Nations Relevant to all People: Global Leadership and Shared Responsibilities for Peaceful, Equitable and Sustainable Societies. At the outset, I wish to extend the cordial greetings of His Holiness, Pope Francis, to you and to all the Delegations participating in this 73rd Session of the UN General Assembly. Indeed, the recognition of the inherent dignity of all human beings is the bedrock on which the pillars of the United Nations are grounded. It is the ultimate principle behind the Founders’ determination to “save succeeding generations from the scourge of war.” It undergirds all fundamental human rights. It drives the search for justice and the respect for the obligations arising from treaties and other appropriate sources of international law because so many abuses of human dignity begin with a failure to uphold laws that respect human rights and fundamental freedoms. It spurs individuals and societies to achieve social progress and better standards of life in greater freedom through what the Holy See calls integral human development. To speak of human dignity seventy years after the adoption of the Universal Declaration means, above all, to restate the centrality and intrinsic worth of the human person and to reaffirm the inherent rights shared by all men and women, no matter how young or old, rich or poor, strong or vulnerable, healthy or sick, wanted or undesired, economically productive or incapacitated, politically influential or insignificant. The world, in fact, needs to regain an all-encompassing vision of the human person, human dignity and human rights, since any reductive vision of the human person inevitably dehumanizes and effectively excludes certain persons from membership of the human race, opening the way to inequality, injustice, and injury. The seventieth anniversary of the Universal Declaration is also a favorable occasion to renew our shared commitment, not just in words but also in practice, to those rights that flow from every person’s inherent dignity. The Report of the Secretary-General on the Work of the Organization highlights that, although there has been much “progress made in the advancement of human rights at a global level… challenges to the protection of human rights are a global phenomenon.” While it is heartening to read of positive developments in the area of human rights accomplished in the last seven decades, it is sobering to note that one in ten children is still subjected to child labor, one in three people currently in detention is held without trial, 29 percent of children under five do not have birth registration, and that 250 million were women married when under the age of 15. It is scandalous to see that human rights continue to be violated today seven decades after the adoption of the Universal Declaration. The Declaration affirms that “everyone has the right to life, liberty, and security of person,” and yet in many places those rights are not only not respected but their violations are even celebrated. Article IV (4) states that “no one shall be held in slavery or servitude,” and yet tens of millions are ensnared by various forms of so-called modern slavery. Article XVIII (18) upholds the right to freedom of thought, conscience, and religion, to change one’s religion or belief, and the freedom alone or in community with others, in public or private, to manifest that religion or belief in teaching, practice, worship and observance. Yet these rights are infringed upon, restricted or denied and in so many places changing one’s religion or even practicing one’s faith is still a death sentence or a reason to be discriminated against. Earlier this year, in his address to the Diplomatic Corps, accredited to the Holy See, Pope Francis noted some trends that, in the very name of the promotion of human rights, are in fact undermining the enjoyment of those rights enshrined in the Universal Declaration. He noted that “debatable notions of human rights have been advanced that are at odds with the culture of many countries.” He cautioned that this trend portends the “risk that, in the very name of human rights, we will see the rise of modern forms of ideological colonization by the stronger and the wealthier, to the detriment of the poorer and the most vulnerable.” The seventieth anniversary of the Universal Declaration affords the international community an occasion to recognize the damage that ideological interpretations or novel rights claims do, in principle and practice, to the human rights and fundamental freedoms actually enshrined in the Universal Declaration and translated into international law and conventions. The Holy See is especially concerned about the increasingly narrow interpretation of the right to life, both on the national level and at the level of the treaty bodies and other human rights mechanisms. That tendency is particularly apparent within a current of the human rights discourse that refuses to recognize the inherent value and dignity of human life at every stage of its beginning, development, and end. That approach seeks to create a hierarchy of human rights, by relativizing human dignity, assigning more value and even rights to the strong and healthy, while discarding the weak. That ideology, unfortunately, present in various parts of the UN human rights system, leads to some grave inequalities and injustices, often ignoring children in the womb and treating the lives of the elderly and persons with disabilities, as expendable or indeed as a burden to society. While freedom is crucial to the ability of every person to express one’s unique identity, the reduction of a person’s dignity to his or her capacity for self-expression and affirmation is always a grave error and a sign that society is losing its ability to recognize the value and importance of every human life, no matter how vulnerable. It is worth recalling here Pope Francis’ words: “a society without proximity, where gratuity and affection without compensation— between strangers as well — is disappearing, is a perverse society.” The same dehumanization occurs when people are reduced to the crimes they may have committed, the country to which they belong or to their productive capacity. The Holy See reaffirms that the quality of a civilization depends also on how it treats the weakest, the indigent, the elderly, the person with a disability, and by the place it gives them in community life. Article XXII of the Universal Declaration affirms that: “everyone … has the right to social security and… to the realization of the economic, social and cultural rights indispensable for his dignity and the free development of his personality.” Frequently though, because of war and conflict, poverty, natural disasters, and other similar causes, that right cannot be fulfilled in one’s place of birth or residence. Such situations prompt millions to leave their place of residence in order to fulfill their basic human needs and to search for well-being and happiness for themselves and for their loved ones. This year saw the completion of a long, comprehensive process to address the challenges of international migration. For the first time ever, the international community engaged in an open and transparent debate on the phenomenon of these movements, that generally occur in mixed movements and on what is needed to manage migration in a more safe, orderly and regular manner. The result is the Global Compact for Safe, Orderly and Regular Migration, which will be adopted this coming December at an international conference to be held in Marrakesh, Morocco. The Global Compact for Migration, together with the Global Compact on Refugees, provide a continuum of protection for all those forced to flee from their place of residence, including those displaced by sudden-onset and slow-onset natural disasters, climate change, and environmental degradation, ensuring that no one is left behind. Taken together, these Compacts affirm our shared responsibility, in the pursuit of the common good, to care for those most in need of solidarity and for those whose dignity and fundamental human rights are most at risk. The strain that many States face in responding to mixed flows, especially when they are unpredictable and overwhelming, was considered thoroughly. Not only the need for increased international solidarity and burden and responsibility sharing but also of the prior commitment of States to “work together to create conditions that allow communities and individuals to live in safety and dignity in their own countries” became apparent. That includes not only increased investment in education, and basic healthcare infrastructure and services, but also capacity building and training for the youth, with a view to helping them find their place and affirm their dignity in an increasingly destabilizing global economy. It also requires addressing the root causes and driving factors that displace people before they are constrained to leave their homelands. In order to respect every person’s human dignity, it is indispensable to create the conditions necessary for the realization of the right to remain. Those conditions include the protection of the family as the basic unit of society. When individuals are forced to leave their families behind, often in search of a better life for their children and loved ones, the very fabric of society begins to unravel. There is no substitute for family unity, which must be upheld both for those who remain, as well as for those on the move. Pope Francis described these shared responsibilities and authentic solidarity in four verbs: to welcome, to protect, to promote and to integrate. The Holy See hopes that the honest effort expended on the Global Compacts will endure, in line with these four steps, to respect migrants’ and refugees’ rights and dignity in a spirit of international solidarity while recognizing the sovereign right of States to determine their national migration policy in light of their obligations under international law. The Holy See hopes that the Global Compacts will serve as useful tools for good migration management at every level and a common resource for achieving our shared responsibility in front of the plight of refugees, as well as reference points for international cooperation in the management of migration and the care for refugees. The Universal Declaration reminds us that the defense of the “inherent dignity and of the equal and inalienable rights of all members of the human family” is the foundation of peace in the world. Article 1 affirms that we are “endowed with reason and conscience and should act towards one another in a spirit of brotherhood.” Wars and armed conflicts are therefore not only violations of reason, conscience, and fraternity, but they cause the worst violations of human dignity and of basic human rights. In the Middle East, the multifaceted political and diplomatic pressures and violence, together with the various humanitarian situations, especially in Syria, must be adequately and urgently addressed by the international community. Furthermore, all interested parties must also demonstrate a unified will to strive for an end to violence and reach “a solution which can enable Palestinians and Israelis alike to live at last in peace within clearly established and internationally recognized borders, thus implementing the ‘two-state solution’”. The Holy See remains concerned about the ongoing political tensions and instability in Nicaragua and Venezuela, especially with regard to the humanitarian crisis in the latter. There is a need to promote a genuine public awareness of certain ongoing situations of conflict with a view to reaching a negotiated and peaceful solution, especially in Ukraine, Libya and the Central African Republic, among others. The Holy See considers the recent political developments in South Sudan and the Democratic Republic of the Congo, as well as between Ethiopia and Eritrea, as positive signs toward building peaceful and democratic societies based on the firm hope that agreements reached will be mutually respected. War and armed conflict can only be prevented by promoting and protecting the dignity of every human life and by fostering a culture of peace animated by sincere mutual respect, dialogue, and solidarity. The tragedy of the First World War, whose end a hundred years ago we will mark in November, teaches us that victory must not mean humiliating a defeated foe and that peace can only be achieved when nations can discuss matters on equal terms. A culture of peace implies fighting injustice and rooting out, in a nonviolent way, the causes of discord that lead to wars. The pursuit of peace requires renouncing violence to vindicate one’s rights, since countering violence with violence leads to more death and destruction, deeper resentment and hatred lasting for decades, atrocities and forced mass migrations and the diversion of vast amounts of resources from development to military ends. Fostering a culture of peace likewise entails intensifying our efforts toward disarmament and disowning the use of force in the conduct of international affairs. Every effort in this direction, however modest, helps to build a culture of peace. The Holy See underlines the deep bonds between the promotion of the culture of peace and the strengthening of disarmament and non-proliferation efforts. The proliferation of weapons, in fact, aggravates conflicts and generates vast human and material costs hindering human and economic development and the search for lasting peace. As the Secretary-General’s Report emphasizes, “We need to reinvigorate disarmament” because it is “pivotal to preserving human security through the prevention of conflict and the reduction of violence, … [to] saving lives and ensuring a safer world.” In this perspective, the Holy See is firmly committed to the full implementation of the disarmament and non-proliferation Treaties and Program of Actions in the nuclear, chemical and biological weapons fields, as well as those relating to cluster munition, antipersonnel mines and small arms and light weapons. The responsibility to defend human dignity and rights is particularly acute in situations when people fall victim to genocide, ethnic cleansing, war crimes and crimes against humanity. Today, where so many national and regional conflicts amount to what Pope Francis has called a “third [world] war… fought piecemeal,” the need to protect populations is more urgent than ever. It is worthwhile to recall that, although the Responsibility to Protect was defined only at the 2005 World Summit, it has always been at the root of the United Nations. Already in the early part of the sixteenth century, when the concept of national sovereign States was emerging, the Spanish Friar Francisco de Vitoria described the responsibility of governors to protect their citizens as an aspect of natural reason shared by all nations and a rule for an “international” order whose task is to regulate relations between peoples. The principles that de Vitoria first articulated in the sixteenth century have been enshrined in the 2005 World Summit Outcome. The Holy See upholds the perennial validity of the Responsibility to Protect and calls for its full, impartial and consistent implementation. Such an implementation necessarily entails fulfilling all obligations under international human rights and international humanitarian law obligations, as well as condemning any deliberate attacks against civilian targets. It means preventing or stopping crimes against humanity and protecting populations from them through greater legal, political and moral accountability. Peace requires forgiveness. Forgiveness is central to reconciliation and peacebuilding since it makes possible the healing and rebuilding of human relations. Forgiveness is not opposed to justice but it is rather its fulfillment, since it leads to the healing of the wounds that fester in human hearts while acknowledging the evil that has been committed. A culture of peace involves, therefore, the courageous choice of not allowing the wounds of the past to bleed into the present so that we can walk together towards reconciliation. Every religion is called to assist in the reconciliation effort by promoting peace. Equally important is the testimony given when different religions come together to pray and work for peace. Interreligious and intercultural dialogue provides the world with a paradigm to share their respective cultural patrimony, grow in mutual appreciation of the others’ perspectives, heal past wounds, and journey together toward peace and human development. Religious men and women, moved as they are to revere each other’s God-given dignity, have a special responsibility to bear witness by respectful and constructive dialogue among cultures. Although even today, there are (some) acts of religiously motivated violence, the response cannot be a renewed form of retaliatory justice, but authentic dialogue between the various religious communities on the basis of the joint and unequivocal belief that killing others in the name of God offends God Himself. Terrorism is not an outgrowth of religion properly understood, but rather the fruit of a profound spiritual poverty. Defeating it requires the joint contribution of all religious and political leaders. Religious leaders must, therefore, promote those values that foster the love of one’s neighbor. On their part, political leaders must guarantee the enjoyment of the right to religious freedom, while acknowledging religion’s positive contribution to the building of a civil society that sees no opposition between the participation in the political community and the spiritual dimension of life. They must also ensure that there are no conditions – such as poverty, insufficient support for families, and inadequate investment in education and culture – that favor the spread of fundamentalism. The Holy See wishes to reaffirm its heartfelt concern for all victims of terrorism, At the same time, it wishes to underline that all measures to combat terrorist activities must fully respect human rights. In particular, counter-terrorism measures should not hinder the legitimate work of charitable organizations, including those motivated by faith, in caring for vulnerable populations. It must be recognized that humanitarian assistance in underdeveloped countries and in crisis zones contributes positively to the prevention of terrorism and retaliatory violence and that, therefore, it fosters the enjoyment of human rights and the respect for dignity. As noted in the Secretary General Report, “terrorism is a worldwide scourge and requires a globally coordinated response.” The Holy See welcomes all efforts to enhance multilateral cooperation against terrorism, such as the recent United Nations High-Level Conference of Heads of Counter-Terrorism Agencies. The Universal Declaration affirms the “equal rights of men and women” as flowing from their inherent dignity and worth. It is, therefore, necessary to adopt all measures to promote equality in rights and full and equal participation of women and men in society. While history books sing the victories of emperors and warriors, all of civilization owes an unpayable debt of gratitude to the less-chronicled or even unknown contributions of women and men that have shaped civilizations. While textbooks normally obsess about the names at the top of political hierarchies and are preoccupied fundamentally with economic and military trends, it is worth recalling that genuine human progress happens more fundamentally in the relations human beings have with one another and the way human beings care for one another. Today, women and men are at the forefront of the “revolution of tenderness” that Pope Francis has insisted the world urgently needs. 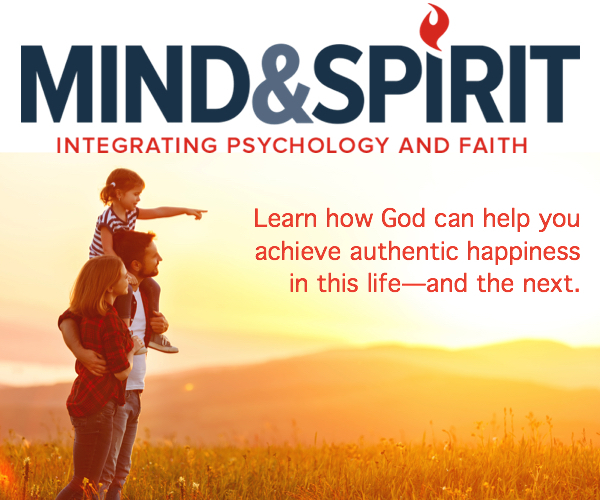 In response to various forms of human suffering and to material, emotional or even spiritual necessities, people need help and remedies that accord with the fullness of their human dignity. Having gone through multiple traumas, they need to be cared for and treated with great sensitivity and attention. Beyond their professional competence and technical knowledge, women have, indeed, shown a special capacity for recognizing, affirming, nurturing and defending the inherent dignity of others, and to contribute greatly in the efforts to promote a peaceful, respectful and harmonious world. As Pope Francis affirms it: “women look at life through their own eyes and men are not able to look at life in this way. The way of viewing a problem, of seeing anything, is different for a woman compared to a man. They must be complementary.” The true progress in humanity that is dramatically needed in our challenged world, will also depend on the full participation of women on an equal and same footing with men, in the civil, political, social, economic or cultural fields. We note with great concern that women’s indispensable role is often undervalued and can even be a vehicle for the exploitation and violation of their dignity and fundamental rights. Still today, women face a variety of challenges and difficulties in various parts of the world. They experience discrimination in the workplace; they are often forced to choose between work and family; they disproportionately suffer in conflict situations. In poor and developing countries, women bear the heaviest burdens: it is they who travel many miles in search of water, who too often do not have access even to the most basic medical assistance that they need in childbirth, who are kidnapped for sexual exploitation or forced into marriage. At times, they are even denied the right to life simply for being female. The authentic advancement of women entails, rather, absolute respect for their inherent dignity, while acknowledging their critical roles not only in the various spheres of society but also in the family, as equal participants in marriage as spouses. It is therefore contradictory to seek to promote women’s empowerment while suppressing their unique natural potentialities in the name of some particular interests or those of an ideological agenda. It is also incoherent when women’s irreplaceable contribution to society through motherhood is stigmatized as an obstacle to their advancement and empowerment, instead of being acknowledged, supported and accompanied with measures aimed at alleviating the difficulties that they may encounter. The Holy See wishes to avail itself of this occasion to express grateful appreciation for all those women who, sometimes heroically, have raised and educated generations of responsible daughters and sons. The world owes them gratitude and esteem, support and solidarity. These principles have perennial validity even in the midst of changing societies and must be upheld for the good of every child, every family, and every society. As Pope Francis reminds us: “The strength of the family lies in its capacity to love and to teach how to love.” “The family is a school of humanity, a school which teaches us to open our hearts to others’ needs, to be attentive to their lives”. As such, it remains a model, as well as a reference for the promotion of harmony within society and among the “family of Nations”. The family is the greatest treasure for a country and for future generations. In particular, it is urgent to promote the protection of children today, as children are regularly victims of armed conflict, violence, various forms of exploitation and abuse, and are exposed to hunger and extreme poverty. The way we care for every child shows the depth of our humanity and of our appreciation for the dignity and rights of every person. For its part, the Catholic Church, at all levels, is committed not only to promoting the protection of children but also to creating safe environments for them in its own institutions, in order to address the heinous scourge of sexual abuse and violence against children. When the Universal Declaration speaks about development, it always does so with regard to the “free and full development” of the human person.” For the Holy See, development must always be “integral,” which, in the words of Pope Paul VI, means that it “cannot be restricted to economic growth alone. Authentic development must be well rounded; it must foster the development of each [person] and of the whole [person].” Respect for human rights and human dignity, based on a profound appreciation of the whole person and every person is essential to eradicate extreme poverty and to promote integral human development. Without paying attention to these fundamental anthropological coordinates, the sustainable development agenda would be reduced to its economic, environmental, or sociological elements. Extreme poverty is more than a socio-economic problem; it is also an ethical one, flowing from a globalization of indifference exacerbated by consumerism. The alternative to that individualistic, indifferent and self-centered approach is an interpersonal one that involves personal, social, economic and environmental advancement and solidarity. This principle of interconnectedness is found in the Addis Ababa Action Agenda on financing for development, the 2030 Agenda for Sustainable Development and the Paris Agreement on Climate Change. In adopting those documents, we committed ourselves to promote integral and authentic development in harmony with nature. We should put all our efforts into achieving the SDGs and the demanding goals of the Paris Agreement. The Holy See hopes that the COP-24, to be held in Katowice this December, will represent a strong step in this direction through a good and effective advancement on the Paris Agreement Work Programme. The Report of the Secretary-General describes some of the recent progress made in the area of integral development across the world. The mortality rate of children under five has dropped by 47 percent in the last ten years. The proportion of the population of the least developed countries with access to electricity has more than doubled since 2000. Unemployment has decreased in many countries as various institutions and frameworks necessary for the implementation of the 2030 Agenda have been put into place. The Report stresses, however, that progress has been uneven and too slow to meet the ambitious goals of the Agenda. By 2015, thirty percent of people worldwide still did not have access to safe drinking water, while sixty percent did not have access to adequate sanitation. After a prolonged decline, world hunger has been rising again. The recent 2018 High-Level Political Forum showed that there is an urgent need to step up efforts with regard to energy, water, and ecosystems. Moreover, the recent rise in trade tensions and a growing skepticism of multilateralism endanger the coordinated global effort to sustainable development for all. The centrality of the human person must also be reaffirmed in the context of the current environmental crisis. As Pope Francis has reminded us, “We are not faced with two separate crises, one environmental and the other social, but rather one complex crisis that is both social and environmental.” This complex reality involves not only our common home but also our partners on this planet and therefore demands an integrated ethical approach that simultaneously cares for the environment while it combats poverty and exclusion, assures the collective enjoyment of the common good, and fosters intergenerational solidarity. Such an approach requires taking with the utmost seriousness our responsibility to care for these precious natural resources and to protect those persons, especially the poorest, who depend on them for their daily subsistence. I am thinking above all of the issues related to food security and food safety, as well as access to clean water and the management of the oceans. Without an approach informed by ethical considerations, we are left with an economic system where financial gain and political power are placed above the good of the environment and those most vulnerable. An ethical approach to the current crisis must also inspire solidarity with future generations. As Pope Francis reminds us, “intergenerational solidarity is not optional, but rather a basic question of justice, since the world we have received also belongs to those who will follow us.” While care for our common home benefits us, it is also a gift to future generations, sparing them from paying the price of environmental deterioration and ensuring that they are able to enjoy its beauty, wonder, and manifold endowment. 2. Preamble of the Charter of the United Nations. 3. Cf., Paul VI, Encyclical Populorum Progressio; John-paul II, Encyclical Sollicitudo Rei Socialis; Benedict XVI, 4. Encyclical Letter Caritas in Veritate ; Francis Encyclicals, Laudato si’ and Evangelii Gaudium. A/73/1, Report of the Secretary-General on the work of the Organization, p. 24. 6. Pope Francis, Address to the Members of the Diplomatic Corps Accredited to the Holy See for the Traditional Exchange of New Year’s Greetings, 8 January 2018. 8. Pope Francis, Meeting of the Pope with the Elderly, 28 September 2014. 9. A/CONF.231/3, Annex, paragraph 13. 10. Pope Francis, Homily during the celebration of Mass for Migrants, 6 July 2018. 11. Pope Francis, Address to the Members of the Diplomatic Corps Accredited to the Holy See, 12 January 2015. 12. Pope Francis, Address to the Members of the Diplomatic Corps Accredited to the Holy See for the Traditional Exchange of New Year’s Greetings, 8 January 2018. 13. A/73/1, Report of the Secretary-General on the work of the Organization, p. 6. 14. Pope Francis, Homily at the Military Memorial in Redipuglia, 13 September 2014. 15. United Nations, 2005 World Summit Outcome, paragraphs 138 and 139. 16. A/73/1, Report of the Secretary-General on the work of the Organization, p. 7. 17. Preamble of the Universal Declaration of Human Rights. 18. Pope Francis, Video Message on the occasion of the TED Conference in Vancouver, 26 April 2017. 19. Pope Francis, Address to the International Union of Superiors General, 12 May 2016. 20. Universal Declaration of Human Rights, art. 16 (3). 21. Ibid., art. 25 (2). 22. Ibid., art. 26 (3). 24. Pope Francis, Meeting with Families, Santiago (Cuba), 22 September 2015. 25. Cf., Pope Francis, Address to the Members of the Pontifical Commission for the Protection of Minors, 21 September 2017. 26. Universal Declaration of Human Rights, Article 29.1. See also Articles 22 and 26.2. 27. Pope Paul VI, Encyclical Letter Populorum Progressio, 14. 28. Pope Francis, Encyclical Letter Laudato Sì,139.